Primary cause of water pollution(Eutorhication) due to Nitrogen run off. Huge amount GHG emissions due to volatization, nitrification and denitrification. 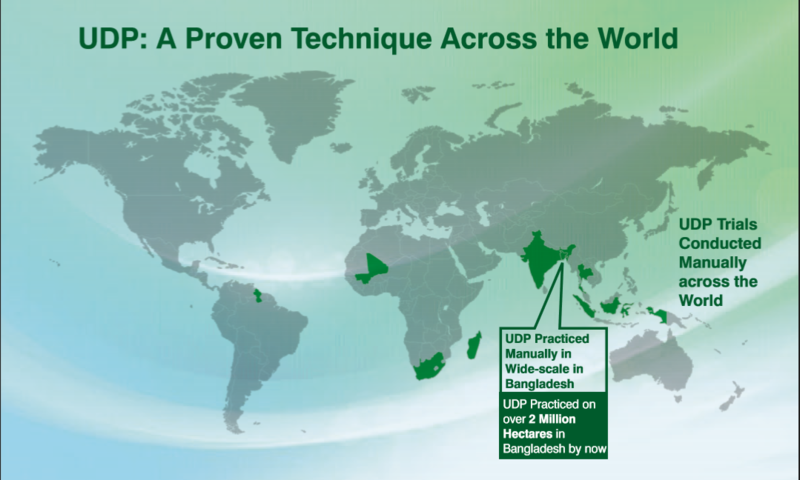 Tata Chemicals also tried to implement UDP manually in West Bengal by demonstrating its benefits on 1490 farmer fields and successfully proved its benefits. But, there was no acceptance amongst farmers due to acute labor shortage in peak rice transplanting season. 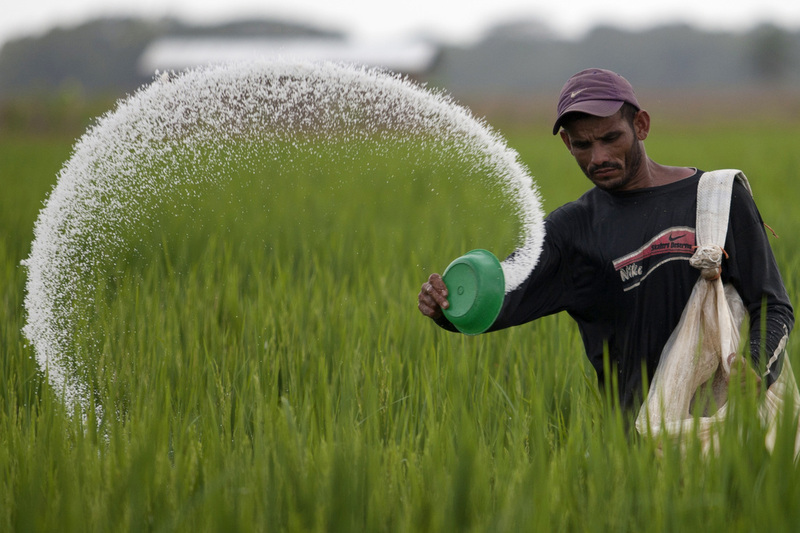 10 mandays per hectare of labor is required to perform UDP manually, that too during the peak transplanting season. That amount of labor is just not available at that time. Adjustable depth of briquette (USG) placement.